Neck numbness can occur due to several possible reasons and might affect the muscles or the throat, especially when yawning or swallowing. Numbness is characterized by a distinct heavy feeling and a lack of sensation. The condition might be transitory, lasting as short as a few seconds or might be a chronic complaint, enduring for years at a time. Numbness is often a signal of nerve compression, which can occur in the spine or throughout the greater anatomy of the neck region. Since the area is rich in nerve tissue, there can be many possible structures affected by numerous potential causations. We have seen some very unusual varieties of numb neck conditions and have even experienced a few ourselves. This report explores numbness in the neck and throat region and provides a comprehensive analysis of the possible origins of these frightening symptoms. Numbness in the neck might occur in several regions, including the dorsal center over the spine, unilaterally off center from the spine, on the side of the neck or near the throat. Each location provides clues as to its potential cause, but does not definitively provide an answer to a definite source. Dorsal numbness, over or near the spine, increases the chances for a spinal nerve compression issue being responsible. These symptoms are most often chronic complaints that endure along with other symptomology, such as pain, tingling or weakness. A few cases might be transitory, based on atypical sleep position and reduced circulation. 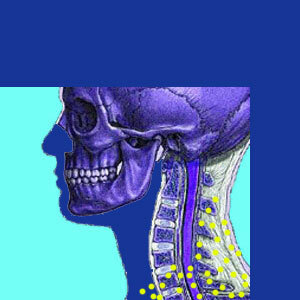 Side of the neck numbness can be felt under or behind the ear, as well as directly in front of the ear. These conditions can come from a range of possible causes, including nerve compression, temporomandibular symptomology, side effect or precursor to Bell ’s palsy and even neuromuscular issues. Numbness in the anterior neck and throat region can have the greatest number of possible distinct causations and often presents an enigmatic complaint for physicians to diagnose. Central spinal stenosis and foraminal stenosis can cause lingering pain, tingling, numbness and weakness in virtually any area of the body, including the neck. A pinched nerve or a compressed spinal cord will often produce objective chronic numbness as its main symptomatic expression. Therefore, evaluating the patency of the central and foraminal canals in the cervical spine will usually be a focus of diagnostic efforts in cases of neck numbness. Compression of nerves can also occur due to muscular impingement outside of the spinal anatomy. Ischemia of nerves can occur within or outside of the spinal anatomy, as well, and is a major reason for numbness symptoms, especially those which are recurrent and flare-up intensely without provocation. Some patients experience numbness as a collateral consequence of temporomandibular disorder, but usually in the presence of other identifying expressions, such as jaw pain, facial pain and headaches. We have seen several patients who demonstrate periods of acute, but transient numbness upon yawning or swallowing. In fact, as editor, I tend to get the yawning-related symptomology on the right side of my throat more often as I get older. The causation has never been established. Temporary numbness will usually go away and not recur. Therefore, it should not pose a major concern in most instances. However, chronic numbness might indicate significant health pathology and should be investigated. Most cases will be found to be idiopathic or linked to some nerve compression issue in the spine or surrounding muscular anatomy. Mindbody health professionals will be able to recognize the distinct signs of oxygen deprivation in patients who are suffering from ischemia and can utilize the tools at their disposal to enact compete cures in virtually all cases. Some unfortunate patients might be suffering from more sinister causes of numbness, such as cancerous or benign tumors, spinal cysts or neuromuscular disease. These conditions should be easy to confirm or rule out during preliminary diagnostic processing. Consult with your neurologist for the best hope of finding the actual cause of numbness in your specific case. If no structural cause is found (very commonplace), you might consider treating the condition as an ischemia syndrome and trying to resolve it completely using mindbody practices. We have found this to be the most effective and safe path that yields the best results for the greatest number of patients with a diversity of symptoms. 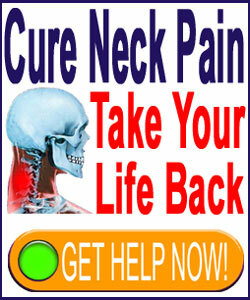 Our proven pain relief program has been very helpful in this regard.